University of Maryland, Baltimore County, B.S. 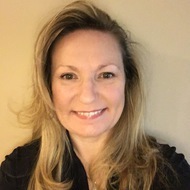 Jen McGinn, MS, is the Head of User Experience and User Assistance at Veracode, a global leader in application security. Jen has spent more than 20 years working as a UX leader, designer, user researcher, technical trainer, and writer at companies including Oracle, Nokia and Sun Microsystems. She regularly presents at local, regional, and international UX conferences, and has published peer-reviewed papers on persona development, heuristic evaluation, Agile user research, and usability rating scales. Jen has a BS in Information Systems Management from UMBC, and an MS in Human Factors in Information Design from Bentley University.